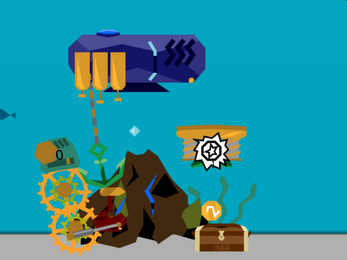 Start your awesome underwater steampunk adventure. 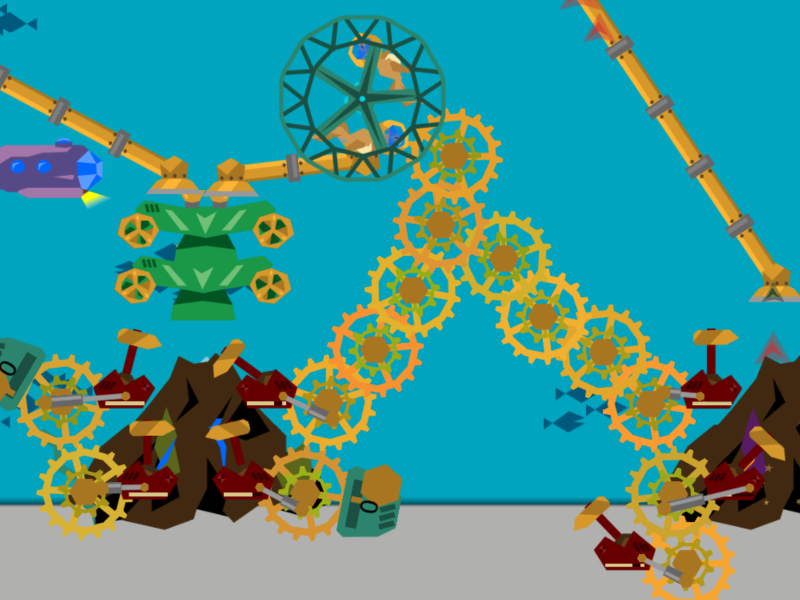 Build underwater factory, connect the cogwheels ⚙ for the most efficient work in the idle game 🎮 mode. Tap volcanoes 🌋 for oxygen, drill the seabed and mine ⛏ the ore. Employ octopuses 🐙 and whales 🐳, explore the world with mechanical crabs 🦀, fish 🐟 and submarines! Even the squirrels will help you, if you supply them with oxygen. 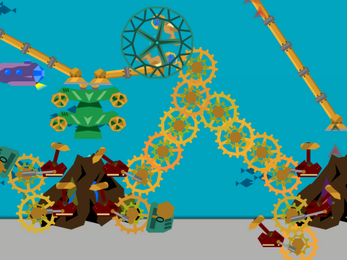 Upgrade your incredible contraptions to become the ultimate sea tycoon. This is the fifth, Underwater, world of Steampunk Idle Spinner series. The first version of idle game with spinning cogwheels was made in June 2017 during a 3-days gamejam. As the concept proved to be interesting for the players, the development continued. 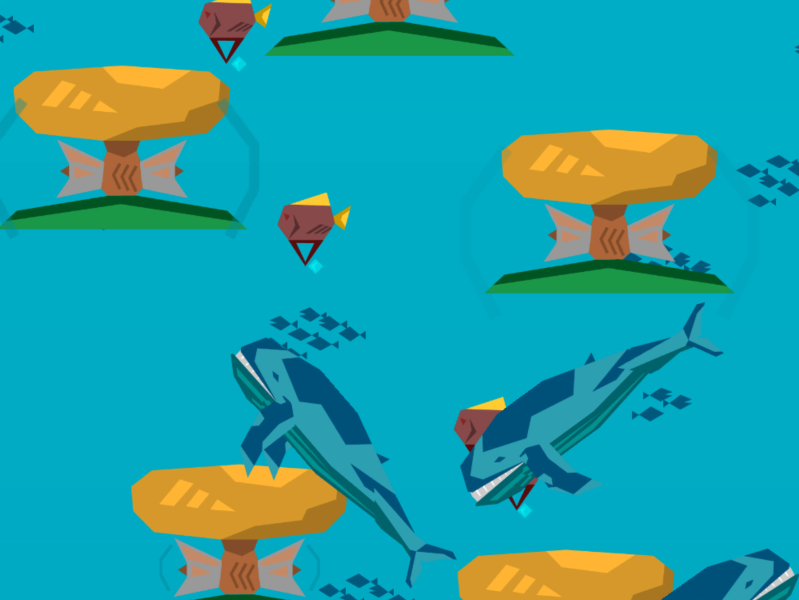 The development of the game is screencast and then published as 1:60 timelapse video. Some development phases are broadcast to the players as live videos and often the players' suggestions are implemented online. 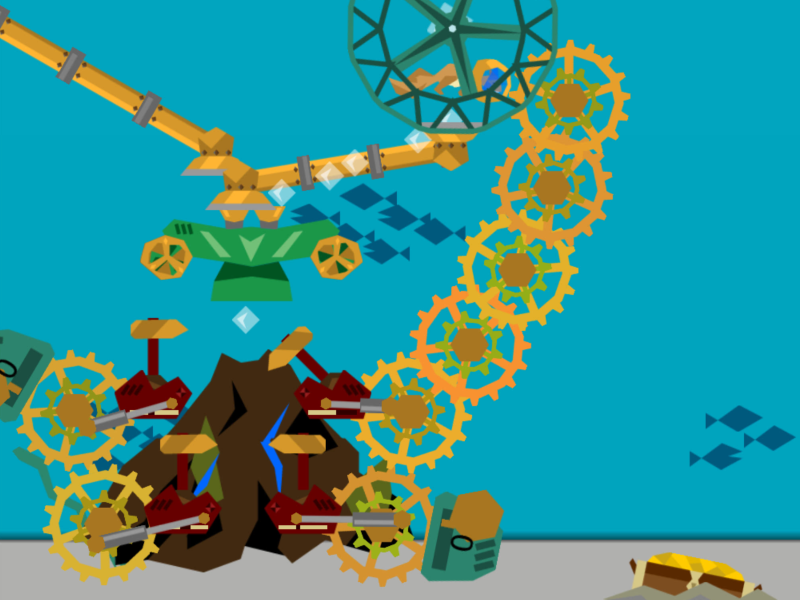 The primary source of inspiration for the overall concept were the mechanisms of interconnected cogs, which the developer liked to assemble and disassemble in his school years. The current underwater setting was inspired by Joules Verne's "20 000 Leagues under the Sea", Disney's "Atlantis" dieselpunk cartoon and Brian Kesinger's "Walking Your Octopus" illustrations. 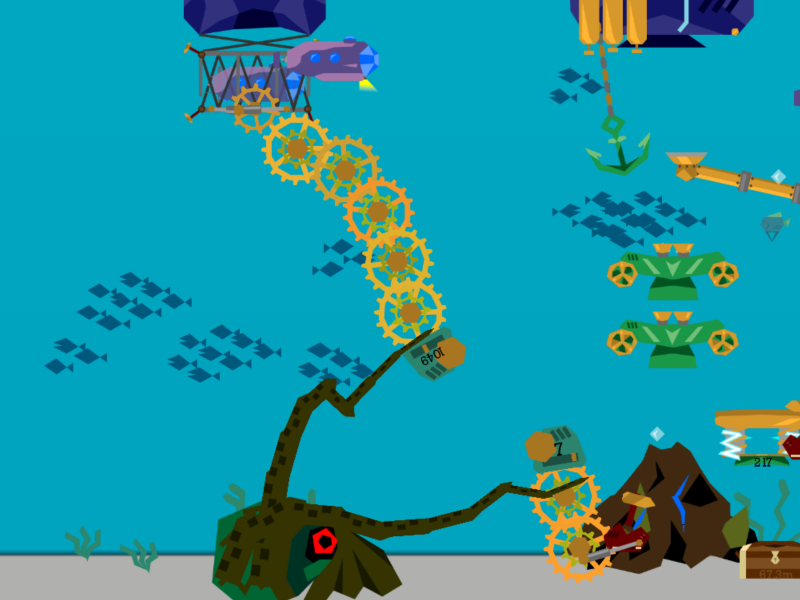 Also the Underwater world was most demanded, according to the players' vote in the game's facebook group. Work started in March 2018, public alpha was launched in May 2018, beta in July 2018. Machines purchase interface is the most convenient here. 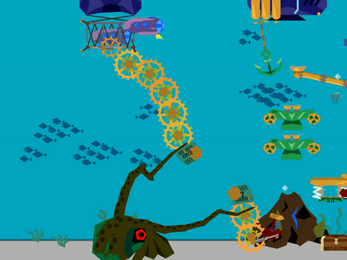 Players continue giving new suggestions, which eventually appear in the game. 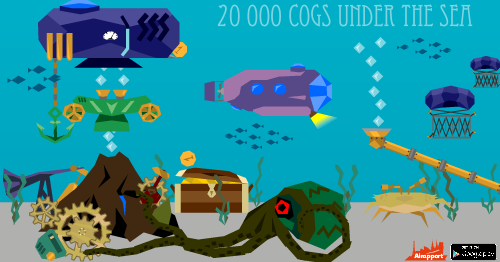 20 000 Cogs under the Sea: open beta starts!